Biscuit makes a very fluffy, light cake and is perfect for a cake base. It is easy to bake and very yummy. 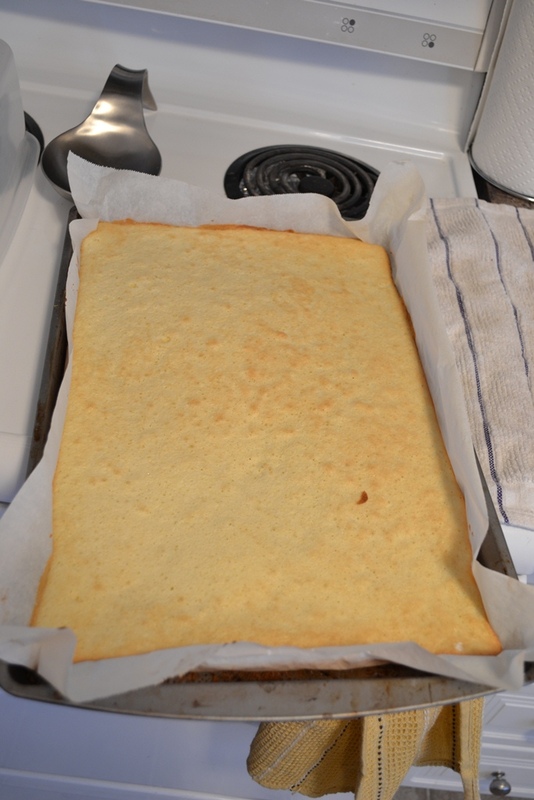 I think North American sponge cake is similar to it, though I haven’t done that yet. This was an attempt the other day because I was looking for something to celebrate a birthday at work. So, I figured I try something new and voila, it worked perfectly. Take the eggs and separate them. Mix yolk with half the sugar and water in a bowl, then put it aside. Take the egg white and mix it with the rest of the sugar until foamy and stiff. Take the egg white mix and carefully mix 1/3 into the egg yolk mixtures. Place the rest of the egg white mix on top. Sift flour with corn starch and baking powder and mix with the egg mixture until well combined. 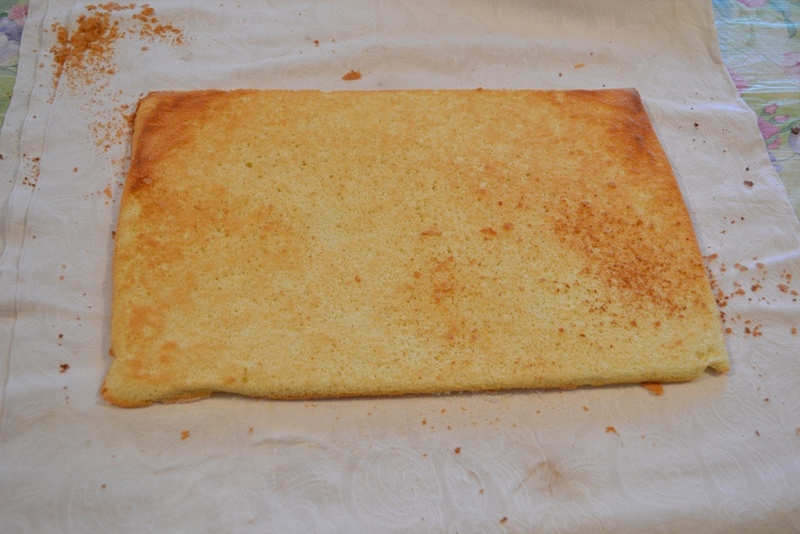 Spread the dough on a baking sheet which is lined with baking paper. Try to even the dough and bake for 15 min in the preheated oven at 180°C. Once the cake is done, place it on a tea towel which is sprinkled with sugar. (The sugar will make sure that the cake will not stick to the towel, so use a bit more.) 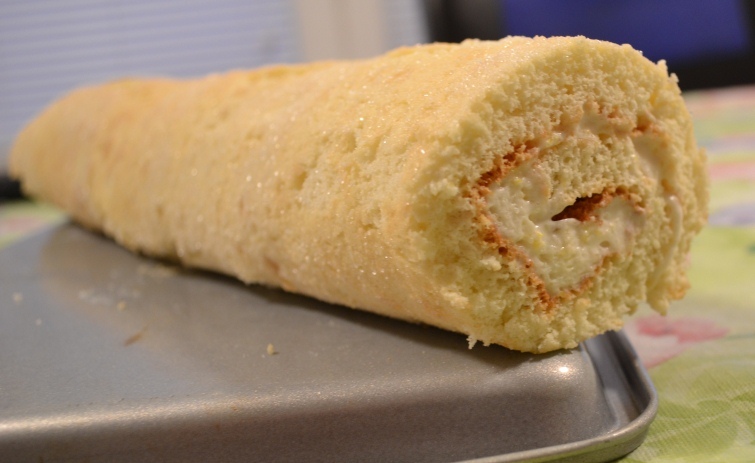 Roll the cake into a roll and let sit to cool. While your cake cooles prepare the filling. There are other option you can do instead of nougat, for example Lemon. I made my whipping creme from a package with powder, the amount was just right, though I could have used a bit more. Make your whipping creme the way you like, just make sure it is 250g or more. Take one lemon and zest it, all lemons get squeezed and should add up to 150ml. Mix the juice and zest with sugar and prepare the gelatine with the lemon juice according to the package. (I believe it was: mix 50 ml cold juice with powder, then heat up 50ml and mix into cold mix, let sit for a bit.) As soon as the gelatine starts to set, mix it with the whipping cream. Put your mix in the fridge which will speed up the setting time. Once the mixtures is firm you can spread it on the dough. This recipe only will fill the roll, there won’t be enough to cover the roll with. The recipe says you should sift icing sugar over the roll. 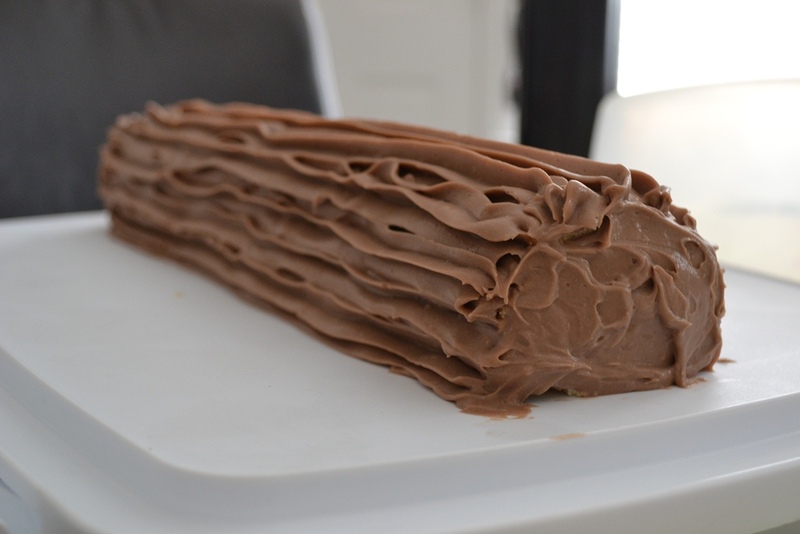 However, if you make a bit more, you will be able to decorate it. Just experiment with the amount. 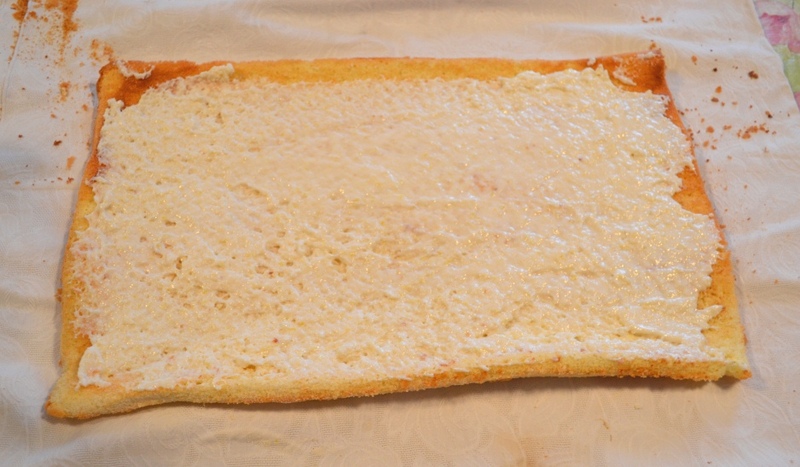 What is really important: the whipping cream mixture must be stiff, otherwise it will run out of the biscuit roll and you won’t be able to roll it up nicely. Posted in Cake and tagged baking, biscuit, filling, recipe. Bookmark the permalink.